Today on The Ask Prof Noakes Podcast we tackle the elephant in the room when it comes to the LCHF diet, cholesterol. We get asked about cholesterol very often and today’s question was submitted by Dianne de Rueck. She says she’s very concerned about her cholesterol and her doctor says it is hereditary. She’s been taking statins on and off since she found that she’s got high cholesterol. She has been following the LCHF diet/Banting Diet for a few weeks now. She went to have her cholesterol tested, and she’s very upset to find that it is still high. The good cholesterol is 3.3 and the bad cholesterol 3.9. Sadly her doctor has put her on a higher dose of that statin. He has told her to continue with the LCHF diet and they will test again in 3 months. Dianne’s question is as follows: does the LCHF diet help with hereditary cholesterol? She hasn’t really taken this problem seriously enough but she is very concerned now. Prof Tim Noakes: This is one of the most contentious issues and it is really really complex to answer in a simple way. It is true that there are some people who have very high cholesterols of 14, 15 or 20. They have other associated abnormalities, and they are at risk for early heart attacks. We don’t know whether it’s the cholesterol or the other factors that cause the heart attacks. The medical profession has conveniently assumed that it is the cholesterol, because that’s the model you see. Because cholesterol causes heart attacks, so if you’ve got a 14 millimoles per litre cholesterol so therefore you’re going to die from heart disease. The cholesterol explained it. But that’s a circular argument. What I can tell you is that in people who do not have hereditary high cholesterol, there is absolutely no relationship whatsoever between the cholesterol in your blood and the damage in your arteries – no one has ever shown that relationship. When you cut out the people with hereditary cholesterol and deal only with the normal people, there is no link between what your cholesterol in your blood stream and what your arteries look like. So the question is really whether she really does have hereditary cholesterol or not. If she has a family history of family dying at 30, 40 or 50, then yes, she may have it. It is quite true that that is the only population that I would advise to take statins because they have some effect. It is a small effect, but it is probably worthwhile. If her cholesterol is 8, that is not hereditary high cholesterol. Most women do best – in long term studies – with cholesterols of between 7 and 8, and you’re never told that. Secondly, you’re never told that cholesterol values in women do not predict their risk of heart attack – at all. You are never told that in women, there is no study yet showing that the use of statins reduces their risk of heart attacks. In men there is a small effect, a tiny effect, but in women it’s not been shown. So what she needs to do is to find out if she really does have hereditary high cholesterol, in which case her doctor is correct and she could be on statins. If she does not really have high cholesterol then she does not need to be on statins. Whatever her cholesterol does on this diet, there is no evidence that it will damage her health in the long term. 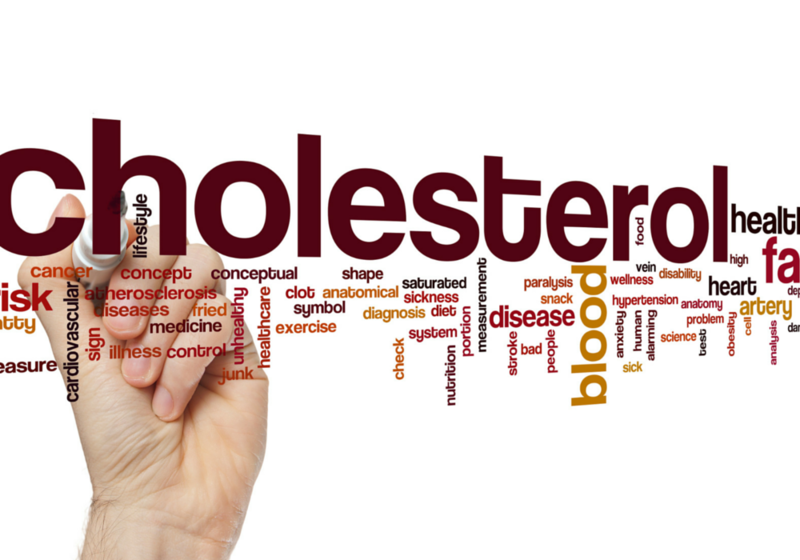 What we know is that the so called bad cholesterol (the total or LDL cholesterol) is made up of two components. One is good and one is bad. So you get this paradox where you get this so called good-bad cholesterol and bad-bad cholesterol. Which of course you can’t have – how can you have good-bad and bad-bad? What she needs to know is 2 things. She needs to know how many small dense LDL cholesterol particles she has, because that is the bad cholesterol. If all her total cholesterol is in big fluffy particles, she absolutely must not take statins. Because statins a) don’t affect that and b) those large fluffy particles are completely safe.Then, if she is really concerned, she should have scan of her arteries and that is called to measure the volume of the calcium score in her arteries and if they are clean, she should not be on statins because statins carry a major risk. There is currently a class action in the United States of America where a thousand women have taken Pfizer to court for their claim that the statins they were on caused type 2 diabetes. The basis for the argument is that in women statins are essentially without effect. So these people were put on a drug which did not benefit them, but yet gave them type 2 diabetes. This is one of the worst diseases you can possibly have because it can reduce your life expectancy by 5 or 10 years. So they have a real case here and that might apply. What is really interesting for the medical profession is that they have got no defence. If you put a young women on statins, now today with the knowledge we have, and she gets type 2 diabetes she has an action against you the doctor. That is because you prescribed it without knowing the full details of the fact that a) statins are almost without value in healthy women, and b) they carry risk. So these are not trivial questions. I have just been to the diabetes convention where they showed in a particular population of elderly people that statins were associated with increased rate of dementia. If people really knew what statins do to you, and how they are absolutely an intra-cellular poison. If you knew how much damage they potentially could do to all the cells in the body, and the small benefits – people would simply not take them. I have been accused of telling people to not take statins. I did not say that. What I say is find out the truth. When you find out the truth, you will be astonished. So for example, if you and I had a cholesterol of 8, and we were told that we were about to drop dead and had to be put on statins the reality is that in a group like us – 1 in 140 patients benefit. That means 139 people like you and me who were put on statins receive no benefit whatsoever. You are not told that. So if a patient says “actually I don’t care, I want to take the risk that I’m going to be that 1 out of 140 that does benefit and not one of the 139” then fine, that’s their decision. But they must be properly informed and unfortunately they are not being properly informed. Have a listen to this episode of the LCHF Podcast to find out what you need to ask your doctor about your high cholesterol medication.